At Med-Tech Innovation Expo, manufacturer of medical technology parts, Raumedic, will be among the show’s exhibitors. 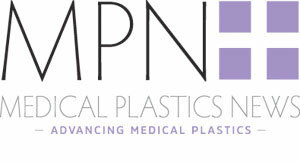 From April 25 to 26, the company’s UK sales team will be showcasing the various products made from thermoplastics and silicone. Raumedic’s portfolio ranges from extruded tubing and moulded parts to more complex solutions such as catheters and single-use cartridges for wearable patch pumps. The company supports its customers from product concept to design, from prototype construction to series production, taking over all key processes of product lifecycle management. You can find Raumedic at the show on stand C52. Med-Tech Innovation Expo is the UK and Ireland’s leading showcase for medical design and manufacturing technology. The show is running from 25-26 April and brings together the medical engineering and manufacturing community for a range of exciting innovations and informative talks.